Today is Remembrance Sunday in the UK, a day set aside in the calendar for remembering the sacrifice of all our fallen British and Commonwealth armed forces servicemen/women. It comes around on the second Sunday in November every year, to coincide with Armistice Day on 11th November. Like we do on Armistice Day, a two minute silence will be observed across the British Isles at 11am... A time to reflect and remember... We also buy and wear our poppies with pride! For my poppy manicure I started with a base of two coats of white. I then used a square paintbrush and slightly watered down, red acrylic paint to literally dash on some abstract poppy shapes. I then took a pointed brush and green paint to add a few more smaller dashes or 'leaves' lol. 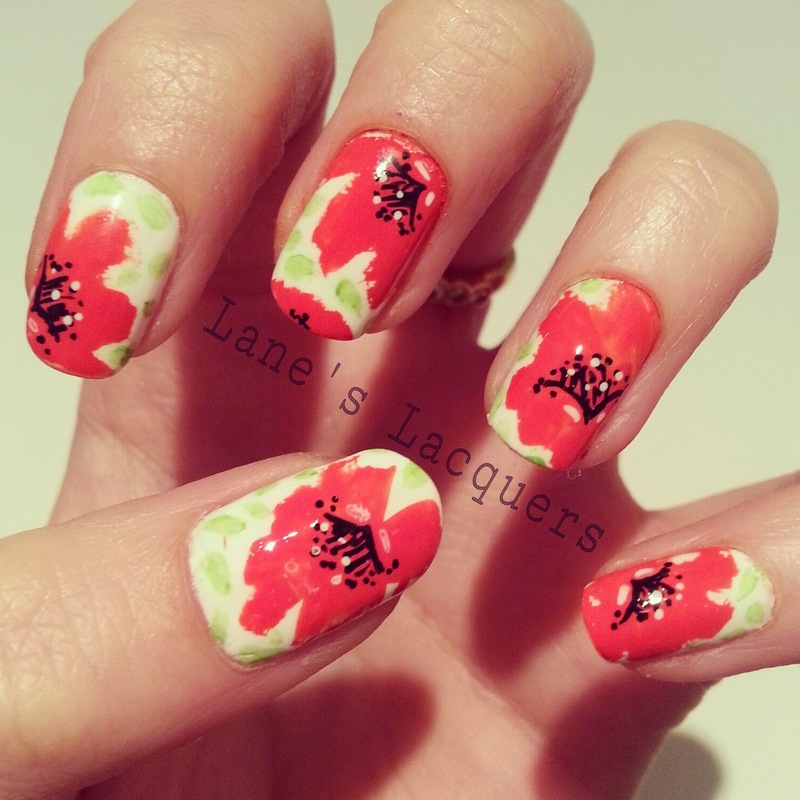 Once that was all dry I used black and white nail art pens to turn the blobs into poppies and topcoated. 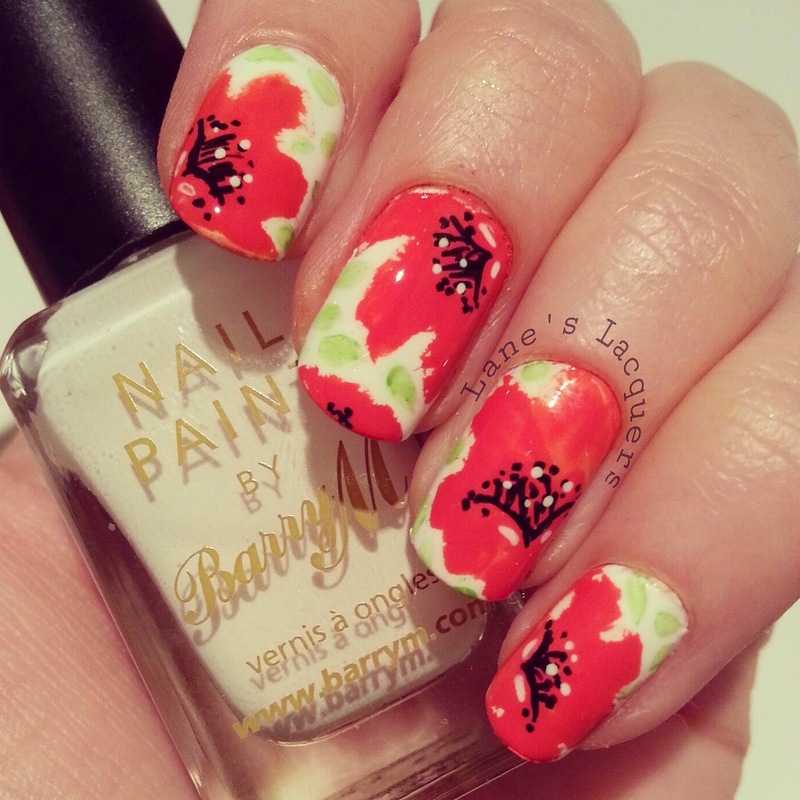 I'm usually too much of a perfectionist to pull off these abstract-ish mani's... But my inner boho threw caution to the wind and I gave it a good go without allowing any touch-ups... I love the result and enjoyed painting them so much, took 10 minutes at most! What will you be remembering? Brilliant artwork, Rebecca. I love these. 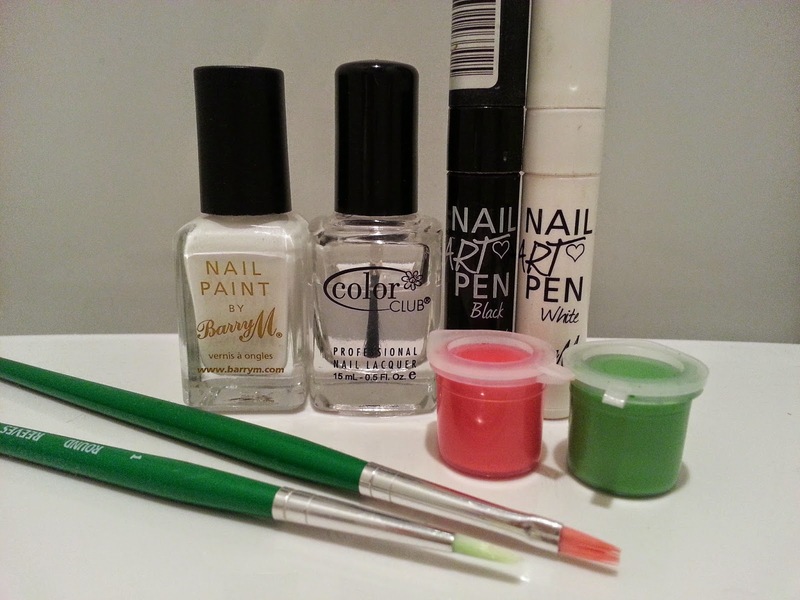 Quiz Clothing Competition: Dress Your Nails! Happy Belated Halloween with Models Own!